Charlie Austin’s last-minute consolation goal against Tottenham on Wednesday night left one lucky punter rolling in it. While it was only a fleeting moment of joy for the travelling Southampton fans, for one Betway customer it meant so much more. Austin’s goal ensured the punter turned £30 into five-figures after backing every Premier League team to score on Tuesday and Wednesday’s fixtures. Southampton looked like they were going to let down what was a speculative accumulator – after Tuesday’s matches had been ticked off – until Austin popped up in the dying embers to pocket the punter a cool £14,481.33. It was the first time all 20 teams had scored in a single game week since November 2010. The unnamed winner also has Cardiff winger Josh Murphy to thank, who scored in injury time against West Ham on Tuesday night to keep the bet alive. 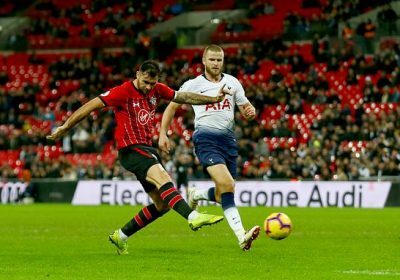 Betway’s Alan Alger said: ‘Not since 2010 have all 20 Premier League teams netted in a game week and with Christmas around the corner, one lucky punter will be thanking Southampton striker Charlie Austin for his late consolation against Tottenham. Wonder what the odds are this lucky punter has a good Christmas?